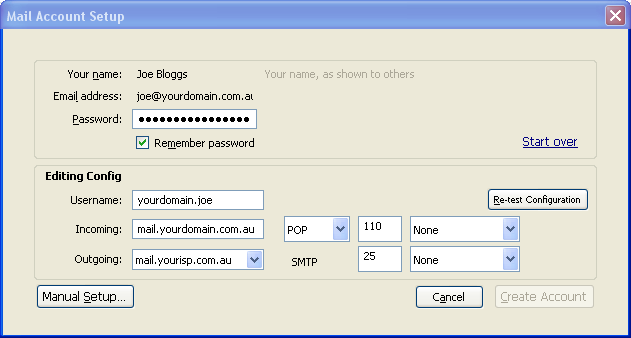 To setup your new POP3 or IMAP email account in Mozilla Thunderbird version 3.0, following these instructions. If you have an older version of Mozilla Thunderbird, please download and install the latest version here - Download Thunderbird. To learn more about the different types of email solutions offered by Webvault please read Getting Started with Webvault Email Services. On the Mail Account Setup dialog window enter following information and then click the Continue button. 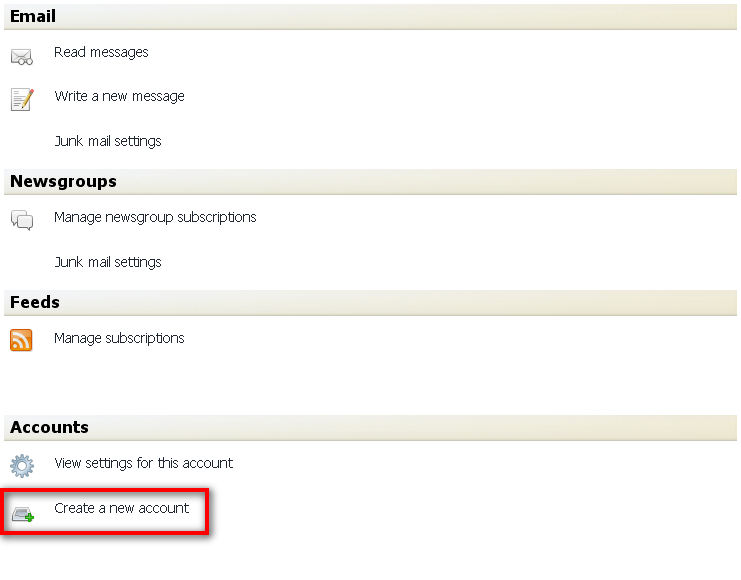 On the next Mail Account Setup dialog window, enter the information as follows. When you have finished entering the correct settings, click the Create Account button. 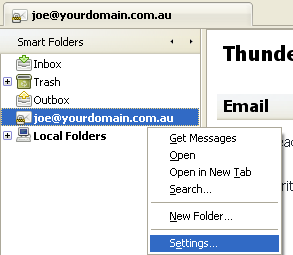 In Mozilla Thunderbird you can modify your email account settings at any time. Right Click on the email account on the left hand side, and choose the Settings option. Here is a brief overview of how to configure the advanced email account settings available in Mozilla Thunderbird. If you are using an SMTP enabled email account with Webvault then it is recommended that you change the Outgoing Server (SMTP) port from the default 25 to 366. This will allow you to bypass firewall restrictions that most internet access providers impose on connections to remote mail servers. You can also use the secure SSL encryption options as shown for additional privacy and security with sending or retrieving email. IMPORTANT NOTE: If you use the SSL encryption settings to retrieve or send email, you MUST change your Incoming and Outgoing Mail Server settings to email.webvault.com.au as shown otherwise you will receive a certificate mismatch error. 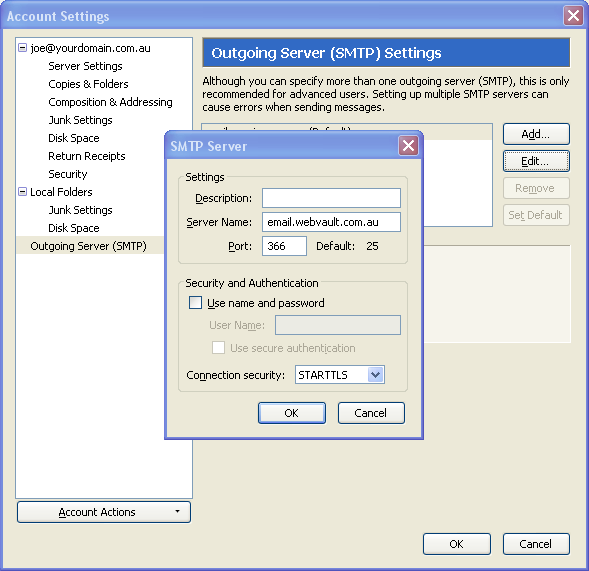 Click on Outgoing Server (SMTP) on the left hand side and then choose your SMTP server from the list and click on edit. If your email account has been enabled for SMTP by one of our support staff change the Server Name to email.webvault.com.au and change the port to 366. You must also tick the Use name and password checkbox, and you may need to enter your email account username in the textbox provided.